If you've been carving pumpkins to complement your fall decor or if you have a Jack-o-lantern theme to your Halloween decor, you likely have tons of extra pumpkin seeds lying around. 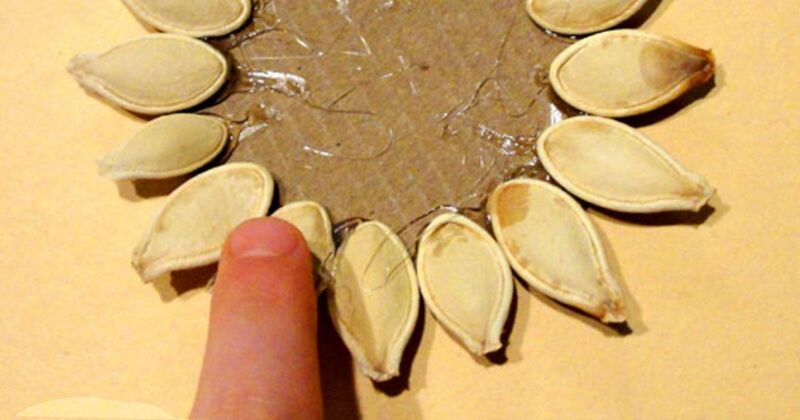 Of course, there are tons of recipes, but there are other ways to use pumpkin seeds in your fall decorations and crafts. 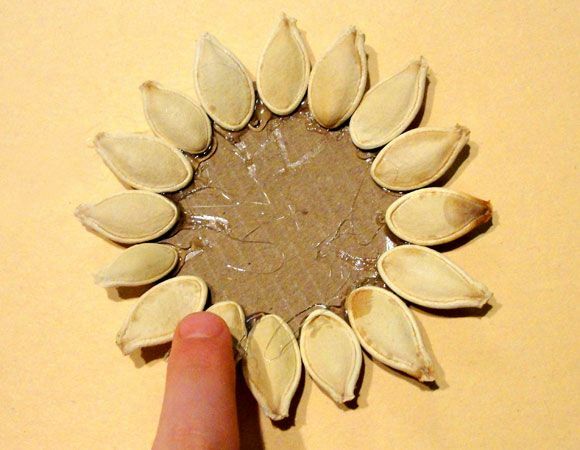 Whether they look like flowers, trees or works of art, there are all kinds of projects you can do that feature just how versatile pumpkin seeds can be. They're free if you already have a pumpkin, so next time you scoop out the sticky insides, save the seeds for any of these adorable ideas. These bright, cheery flower-like ornaments from Whimsical Kids Canvas are the perfect way to use seeds in a different way. These unique ornaments are easy and inexpensive to make and are sure to be a conversation starter. They'd make a stunning accent to your holiday decor, and could also be used again in spring decor. 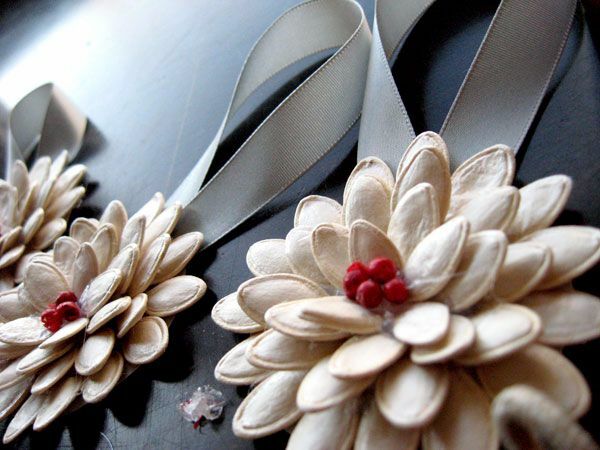 Amanda Mackay shows us how to create these elegant ornaments. The lack of color except for the center pieces in red really elevate the look of this project. 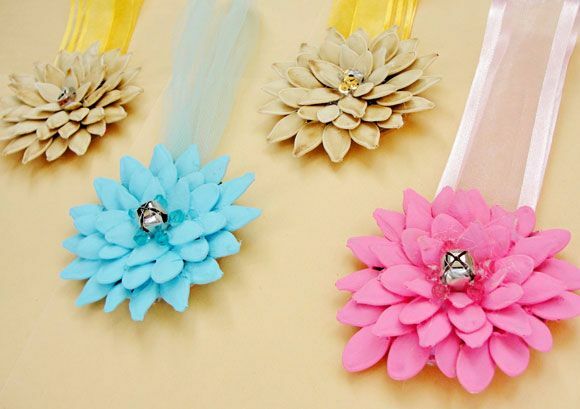 These can be gifts as well and are an inexpensive alternative to a store-bought treasure. Your friends and family will surely enjoy this unique treat. In addition to giving these pumpkin seed flowers, you could also use them to embellish gift bags, as shown on Fireflies & Jellybeans. 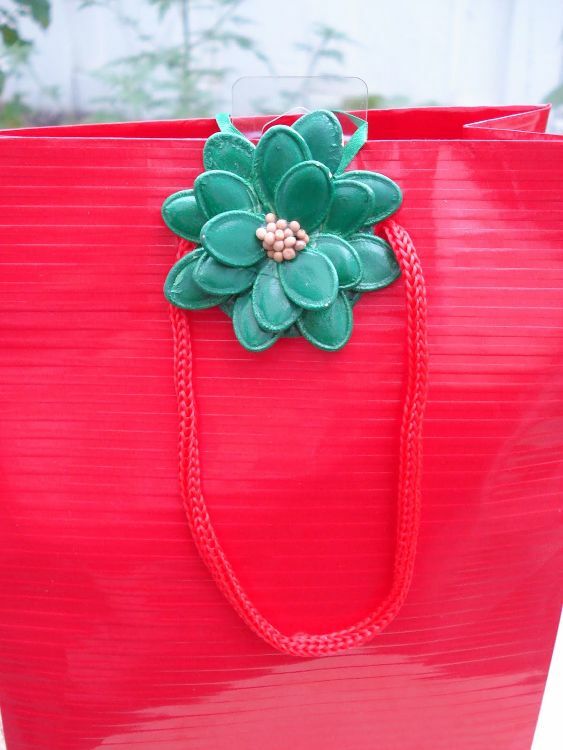 You can paint the seed flowers any color you want, and pair with a bright bag for a truly unique accent. It's also the perfect addition to pumpkin-themed gifts, such as lotion or coffee beans. That's some pretty perfect coordination. This project from Mini Monets and Mommies turns the goop you scoop from inside a pumpkin into adorably goopy goodness. You just need a couple of ingredients to create these colorful little mosaics and if you and your kids like squishing things around, you'll really like this project. They're the perfect addition to your fall arts and crafts lineup. 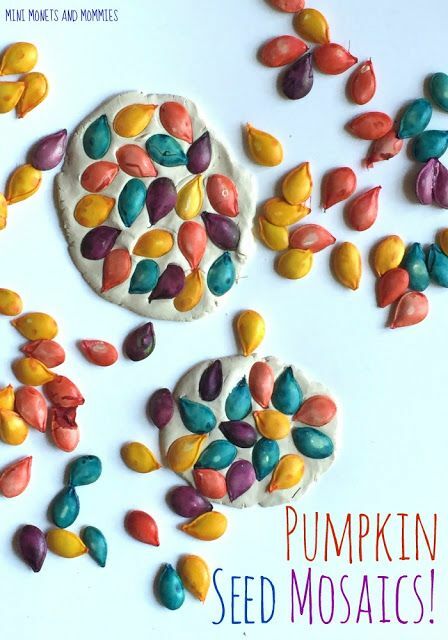 It's easy and fun to make colorful pumpkin seed art, as we see from this Fun-a-Day tree. 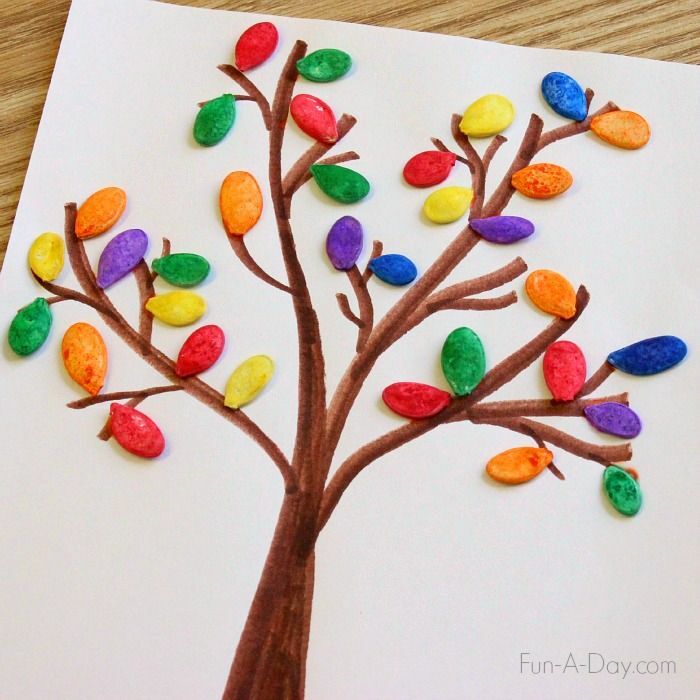 This fall craft is a great project to do with the kids, from coloring the seeds to drawing and pasting them onto their very own tree. If you have a few seeds left over to roast, they're mighty tasty as well. Inspired? Tell us which project is your favorite in the comments and please SHARE the inspiration with others. Enjoy your new pumpkin seed projects!